General Motors has announced its intentions to add a third shift and an additional 500 hourly and salaried jobs at its Lansing Grand River Assembly plant. The additional shift and positions will accommodate demand for the 2016 Chevrolet Camaro, and in the process boost the plant’s workforce to 2,300 employees in total. “This is the result of the award-winning vehicles Lansing Grand River produces and the confidence GM has in our team to build world-class quality for our customers,” said Lansing Regional Plant Manager Mike Trevorrow. Lansing Grand River Assembly currently builds the Cadillac CTS and ATS, as well as both models’ V-series performance variants. 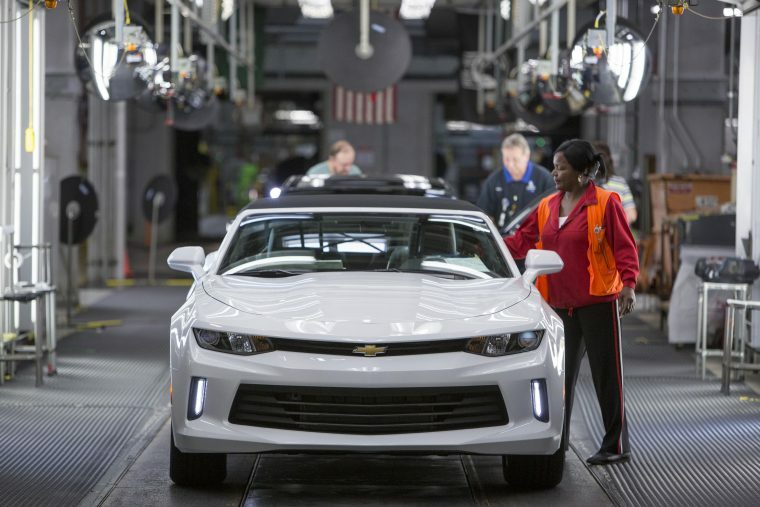 The addition of the Camaro, which promises to be one of Chevrolet’s best-selling vehicles for 2016, adds additional stability and ensures GM’s ability to create new jobs in its home state. Hiring for the third shift is said to already be underway, and the shift is likely to be staffed and underway by the second quarter of this year.